October is National Dental Hygiene Month! Each year, dentists across the country take this month to focus on educating patients about proper dental hygiene. Dr. Angela Ganjoor understands that maintaining good dental habits can help you preserve the health and appearance of your smile. With a fun quiz, Dr. Ganjoor discusses tips for keeping your smile healthy and beautiful. 1. True or False: You need to brush and floss every day. 2. True or False: Dental cleanings are vital for good oral health. 3. True or False: Your diet impacts your dental hygiene. 4. True or False: A toothache can be a warning sign of a dental problem. 1. True. Brushing and flossing both remove bacteria and stray food particles from your mouth. Otherwise, as bacteria break down food particles your teeth are coated in plaque. 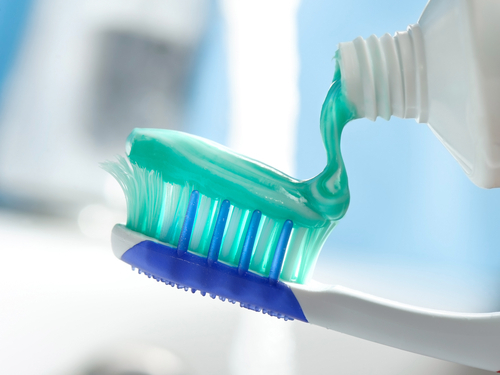 This buildup can inflame the gums and weaken outer enamel, increasing the risk of tooth decay and gum disease. 2. True. While brushing and flossing can help remove plaque, they just aren’t enough. Only a professional dental cleaning can thoroughly remove plaque and tartar from your smile. The American Dental Academy recommends adults and children undergo a routine dental cleaning at least twice a year. 3. True. Foods and drinks high in sugar and other starches can have a negative impact on your oral health. For a healthier diet, we recommend eating more fresh fruits and vegetables. Drink water instead of soda or sports drinks. When possible, have some sugar-free gum instead of candy. You can reduce your chances of developing tooth decay by eating healthier. 4. True. If you experience tooth pain or sensitivity that persists after 48 hours, you should schedule an appointment, this could be a warning sign of a cavity! Early treatment can help you protect your smile.